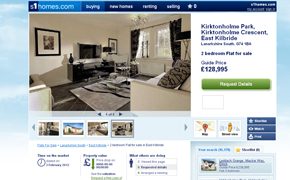 s1 is a Scottish media business operating in the digital arena generating annual revenue of over £9m. Launched in 2001, s1 is now a standalone division of Newsquest, which is the second biggest publisher of regional newspapers and websites in the UK. And Gannett, which owns Newsquest, is the largest newspaper group in the USA (Gannett publishes USA Today, the largest circulation newspaper in the US). Since our launch we have seen enormous growth in traffic and profitability. 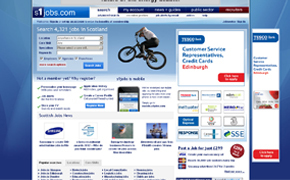 s1jobs.com is the biggest jobsite in Scotland and s1homes.com is the biggest dedicated property site in Scotland. Our vision is to be the best-known and most useful Scottish media brand in the digital environment. s1 has built an enviable reputation for marketing excellence and our brands have been the subject of more than 50 awards for creativity and effectiveness. In 2007 it was shortlisted – along with Tennent’s, Glenmorangie and Irn Bru – as Scotland’s Best Brand Ever.